Dr. Clark Dunnill grew up in West Michigan on her family’s asparagus farm. As an undergraduate, she attended Michigan State University and studied Public Policy, Education and Spanish. 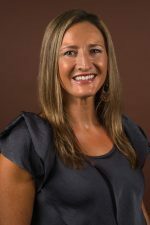 She began her professional career teaching high school and later attended The Chicago School of Professional Psychology and received Masters and Doctoral degrees in Clinical Psychology. While at The Chicago School, Dr. Clark Dunnill worked as a Grip Multicultural Fellow, promoting multiculturalism and doing research and training in issues that affect the practice of psychology among people of impoverished and diverse cultural backgrounds. She also worked as a Cohen Fellow creating outreach and learning opportunities to help remove the stigma attached to mental illness. For her dissertation she created a psycho-educational program for parents of children diagnosed with bipolar disorder. Wanting to integrate her clinical training with her Christian faith, Dr. Clark Dunnill continued her training through the Chicago Area Christian Training Consortium. Dr. Clark Dunnill enjoys therapy with adolescents, adults and couples. Her style is relational and her clinical interests include the integration of faith and psychology, consultation, marital issues, ADHD, parenting issues, anxiety and mood disorders, school and learning issues, and women’s issues. She also has a heart for working with underserved populations and enjoys doing outreach work in various communities. Dr. Clark Dunnill and her husband, Josh, have four sons. She loves traveling, photography, attending sporting events, and spending time with family and close friends.